It all started with a game called Pong. Ever since then, we've been hooked on video games. And to make the games better, they need to have better and better graphics, and play faster and faster. All of this has pushed computers to be faster and faster. 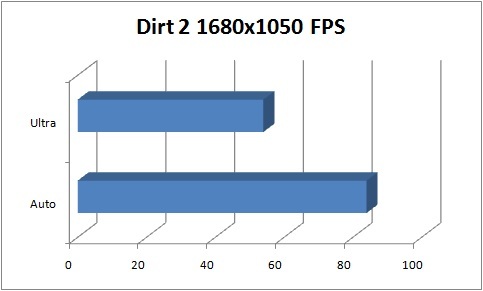 When it comes to graphics, the best improvement can cove from a fast video card. Enter the Asus EAD5850 DirectCU TOP. 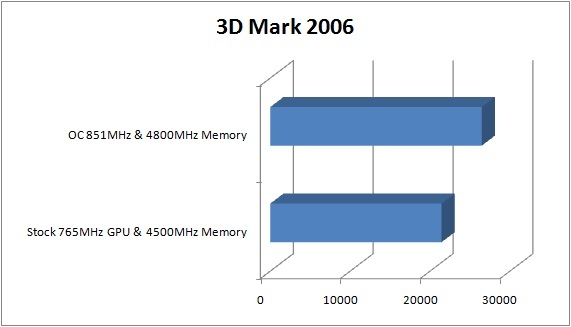 The Asus EAD5850 Direct CU Top is a top performing card. Starting with the packaging you could tell it was a quality card. The packaging had great eye appeal, and had a photo of the cord and showed key features. Opening the box showed well thought out packaging as well. There was a thin box on top that held the manuals and driver and manual CD's. Another small box on the side held cables and the main compartment had a foam cut out to firmly hold the video card in place. The quality of the video card is also very good. The heat sink is massive, with heat pipes and a built in fan. The materials used are very good, and the build quaity is also excellent. It is built for overclocking. and there is no surprise that it is factory overclocked at 110%. ■PCI Express® based PC is required with one X16 lane graphics slot available on the motherboard. ■500 Watt or greater power supply with two 75W 6-pin PCI Express® power connectors recommended (600 Watt and four 6-pin connectors for ATI CrossFireX™ technology in dual mode). ■Certified power supplies are recommended. Refer to http://support.amd.com/us/certified/power-supplies/Pages/listing.aspx for a list of Certified products. ■Minimum 1GB of system memory. ■Installation software requires CD-ROM drive. ■DVD playback requires DVD drive. ■Blu-ray™ playback requires Blu-ray drive. ■For an ATI CrossFireX™ system, a second ATI Radeon™ HD 5850 graphics card, an ATI CrossFireX Ready motherboard and one ATI CrossFireX Bridge Interconnect cable per graphics card (included) a re required. 2.Driver version 8.66 (Catalyst 9.10) or above is required to support ATI Eyefinity technology and to enable a third display you require one panel with a DisplayPort connector. 3.Requires application support for ATI Stream technology. 4.ATI Eyefinity technology works with games that support non-standard aspect ratios which is required for panning across three displays. 5.Digital rights management restrictions may apply. 6.ATI CrossFireX™ technology requires an ATI CrossFireX Ready motherboard, an ATI CrossFireX™ Bridge Interconnect (for each additional graphics card) and may require a specialized power supply. 7.ATI PowerPlay™, ATI Avivo™ and ATI Stream are technology platforms that include a broad set of capabilities offered by certain ATI Radeon™ HD GPUs. Not all products have all features and full enablement of some capabilities and may require complementary products. 8.Upscaling subject to available monitor resolution. 9.Blu-ray or HD DVD drive and HD monitor required. 10.Requires Blu-ray movie disc supporting dual 1080p streams. 11.Playing HDCP content requires additional HDCP ready components, including but not limited to an HDCP ready monitor, Blu-ray or HD DVD disc drive, multimedia application and computer operating system. 12.Some custom resolutions require user configuration. 13.Requires 3D stereo drivers, glasses, and display. 14.OpenCL compliant driver and SDK release scheduled for later in 2010. 15.Driver suppo rt scheduled for relea se in 2010. ATI Radeon™ HD graphics chips have numerous features integrated into the processor itself (e.g., HDCP, HDMI, etc.). Third parties manufacturing products based on, or incorporating ATI Radeon HD graphics chips, may choose to enable some or all of these features. If a particular feature is important to you, please inquire of the manufacturer if a particular product supports this feature. In addition, some features or technologies may require you to purchase additional components in order to make full use of them (e.g. a Blu-Ray or HD-DVD drive, HDCP-ready monitor, etc.). When watching movies on a PC, some of the functions are still performed by the CPU such as the Pixel Shader, which is typically a GPU function. But with Asus Splendid HD, the HD images can be fine-tuned with the graphics card. The Splendid HP Video Enhancement Technology performs the same functions found in a TV's image-processing unit, so the videos look as good as they would have on your HDTV. Splendid H D also works with colors a nd dark scenes. This is a real gamers treat. It provides overclocking, benchmarking, and video capturing, in all PC games, all in real time. Overclocking can be done during gameplay, and frames per second are even displayed, so you can monitor your OC performance. You can capture videos of your gaming, and watch it as video files. You can capture as screenshots as well. There is also a display setting screen where you can mintor your overclocking, benchmarking, and display settings. And again, all of this can be done in real time. The Asus SmartDoctor is a great utility to monitor the health of your video card. It's hardware monitoring helps the card perform as you need, and also extend the life of your video card. It can monitor the AGP bus power level, GPU and memory temperature for speed, and shader clock overclocking. SmartCooling keeps the fan speed slow and quiet when high cooling is not needed. 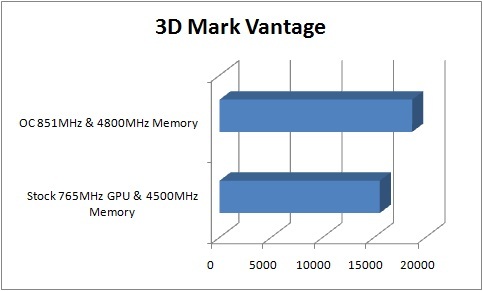 A) 3D Game Mode- HyperDrive will increase GPU core clock if 3D applications are detected. B) CPU Usage mode- increases GPU speed if it detects a high CPU load. C) Temperature Mode- The GPU speed is adjusted based on temperature. Doubles the structural reinforcement to protect the board from cracks. Here, you can adjust the voltage of your card. This can further boost the speed of your card, and give up to a 50% boost in performance. The quality, featu res and design really came together really well. The end results was a pr oduct that gave some excellent performance. Asus was confident enough in the EAH5850 DirectCU Top that they overclocked it 10%. I was able to overclock the processor and memory to HD5870 speeds. 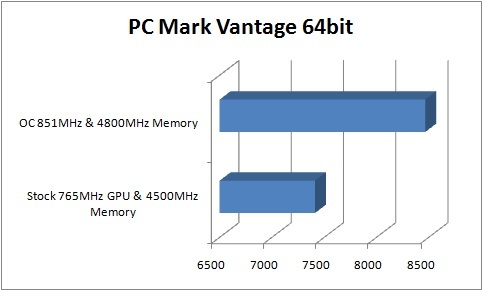 You can see how well it performed in the benchmarks below. The performance was quite impressive. And it did not matter what I thru at it. Movies, streaming, and gaming, all came out looking good and ran very smoothly. In conclusion, the Asus EAH5850 is a solid performer. It is a massive board that gives massive performance. And being full Direct X compatible, it is ready for all the current games with an MSRP of $229, it is not quite a performance board. But while it is more of an upper mainstreem video card, the overclocking ability puts its ability more in the range of performance level card. 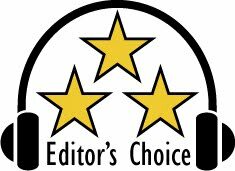 Based on it's quality features, and performance, it has earned our Editor's Choice Award. Congrats! For more info and specs, check out their website at: http://www.asus.com/. Reference Componenets included: Asus P8P67 Pro Motherboard, Intel is 2500K processor, King 48+4GB Kingston Hyper X DDR3-2100 RAM, Western Digital 74 GB Raptor hard drive.